During the summer season, there is nothing more comfortable than an air conditioner in your room. The air conditioner makes the room temperature a lot more comfortable than it actually is so that people can feel comfortable after a hard day at work. However, with the installation of an air conditioner is involved a lot of troubles like high electricity bills, the herculean task of cleaning the filters, irritating noise, the hassle of repair works, and a lot of other things. Hence, it is important to keep in mind a few things before buying an air conditioner. Unless these factors are considered the trouble of maintaining an air conditioner is even more. 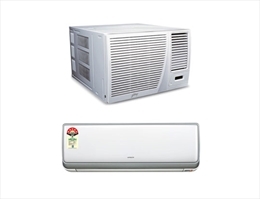 Let us have a look at the few things that need to be kept in mind while purchasing a home air conditioner. Energy efficiency of an air conditioner is an important factor that needs to be considered. Air conditioners are appliances that consume higher amounts of electricity and getting high electricity bills due to air conditioners is not a very pleasant thing. Hence, it is a better idea to buy energy efficient air conditioner. The indicator of energy efficiency of an air conditioner is Star Ratings. Thus, higher the star rating of an air conditioner more is the energy efficiency and as a result you can expect low electricity bills. Warranty of the air conditioner is another important consideration before buying an air conditioner because unless a company gives a few years of warranty there is no point buying an air conditioner. When you are buying an air conditioner at least a year’s warranty should be given. This way you can be sure that if there is some trouble with the air conditioner within a year it will get repaired without any cost. It is always a good idea to spend some extra money on a variable speed air conditioner. 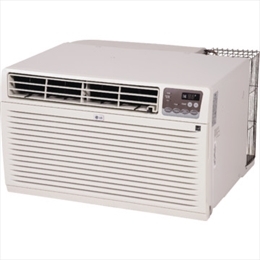 The advantage of a variable speed air conditioner is that it can operate according to the temperature requirements. For example, when the temperature in the room is comfortable enough the speed of the motor can be lowered and vice versa. As a result of this there will not be any unnecessary wastage of electricity. Another thing that you must consider is the installation distance of the indoor as well as the outdoor unit. To get the right position for the installation of the indoor and the outdoor unit, the best option is to get in touch with a climate professional. Here it needs to be noted that more the distance between the indoor and the outdoor unit, higher is the loss of efficiency. When you install an air conditioner a lot of air goes in and out of the vents and the filter plays a major role in pumping clean air into the rooms. Hence, chances are high that the air filter gets dirty quite frequently and you will have to clean it. For many, cleaning is quite an irritating task and so it is recommended to buy a unit that can be cleaned without much hassle or has auto cleaning functions.